Ebony manages the business side of P3 Financial Group. She oversees everything from producers getting paid on time to making sure the lights are on. She is also the head of our Tax & Accounting Division. Ebony was born in Cleveland, Ohio and officially became a Tennessean in 1993 when her family moved to Nashville. After graduation, she headed to Memphis Tennessee where she attended The University of Memphis. While at The University of Memphis, Ebony majored in Marketing Management and landed an internship at Nortel Networks in the marketing department. After college, Ebony began to work for Perkins Restaurants at their National Headquarters. At Perkins, her position combined marketing and accounting. She then moved to the Internal Audit department, where she managed the audit program for 160 corporate stores as well as various internal departments. It was at this time that she decided to make her career home in the Accounting/Finance area. Ebony went back to school to obtain a Bachelor of Science degree in Accounting. 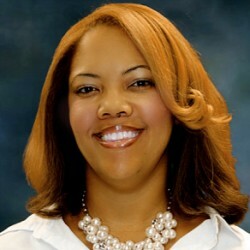 At the end of 2010, Ebony left Perkins to head up the Tax & Accounting division of P3 Financial Group. In this position, her role is tax preparation and planning for individuals and businesses, as well as bookkeeping, payroll, & business formation and consulting. In addition, Ebony also handles the daily operations management of P3. Ebony has always strived to be the best and to do what’s best for her clients. She is constantly researching the latest laws and practices that may affect her clients. Also, she is currently studying to become a Certified Public Accountant (CPA). The employees of P3 don’t only believe in educating themselves, they believe in educating their clients and community. Ebony and her team hold various seminars and are always available for questions. Work isn’t the only thing that is important to Ebony. She is a devoted member of her church serving as a Board Member and leading out in various ministries. She cherishes the time that she spends with her husband, daughters, and extended family. Also, she enjoys traveling, reading, & baking.